When you’re shopping for an outdoor stool, make sure you choose a real outdoor stool. 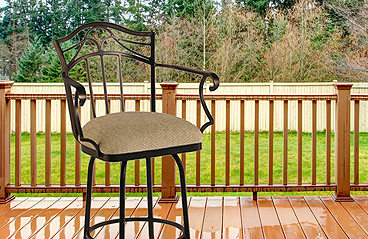 Just because a stool is shown outdoors in a picture doesn’t mean it’s built for the outdoors. 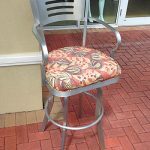 And if a stool is displayed in a store as part of an outdoor setup, you still should check to make sure the stool is a real outdoor stool. What makes a stool an outdoor stool? Metal outdoor stools have a weatherproof finish—usually two layers or more—that coats their parts. Wooden outdoor stools are made of specialized woods like Marine Ply lumber, Acacia hardwood, and Balau that can stand up to the elements. They also have protective finishes. The cushions of outdoor stools and other outdoor furniture are treated with a weatherproof coating. Feel free to ask which coating is used on the cushions, and check the tags for confirmation. Sunbrella is a top of the line weatherproof fabric that you can trust for outdoor use. The best outdoor stools have parts that are welded together, not screwed. When legs, foot rests, and seats are screwed together, there are often small gaps that can let water into the stool. 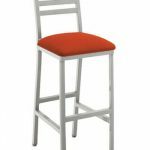 This can rust the stool from the inside, or rust the screws that hold it together. 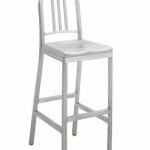 In cold weather, the moisture inside the stool can freeze and cause damage. Even if stools are built for the outdoors, they’ll last much longer with proper care. If possible, store your stools out of direct sunlight. UV rays can break down even the strongest protective coatings (just ask the crews who constantly repaint bridges!). Prolonged moisture will also age a stool. If possible, keep your stools in a place where they won’t be beaten by thunderstorms, and invest in protective covers. In the winter, store your stools in a basement or garage. This will protect them from freezing temperatures, snow, ice, and wind—as well as from bugs and animals looking for an insulated home! If you have any questions about the differences between outdoor stools and indoor stools, just write, call, or post a message on our Facebook page. Enjoy your summer outdoor living!